Doug Sahm Hill in Butler Park was named in 2007. City Council named a handful of landmarks within Butler Park that year. The ordinance aims to mitigate the city’s problem with naming: The need to make everyone happy. 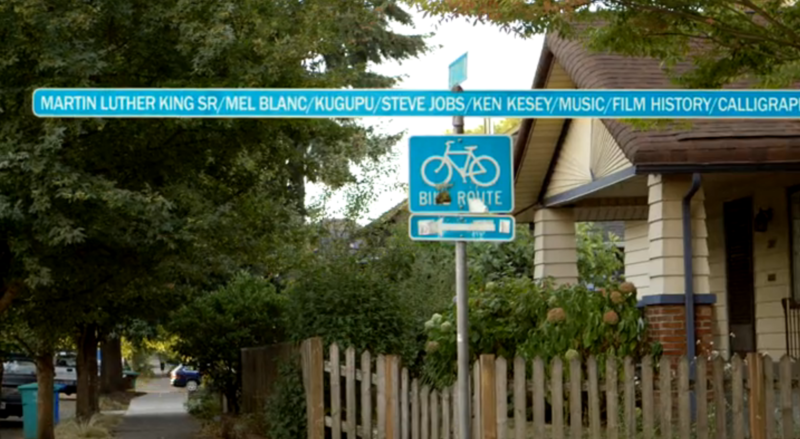 On 'Portlandia,' this is what happened when the city couldn't decide on a new name for a street. The same thing happens in Austin. In 2007, the city got more than 100 suggestions to name what is now Butler Park. Council members were torn, so they gave the park one name, a hill in the park another, a fountain in the park another. But they’re trying to stop this. The new ordinance from the department would give Parks its own protocol to follow, including limiting names to only facilities. Staff is also considering requiring that all parks be named after people who have been dead for at least two years. Right now, you can name parks after people who are still living. Greg Montes with the Parks Department, admits, however, that the proposed new ordinance can only do so much. This is often why the City okays several names, hoping not to hurt anyone’s feelings. The proposed ordinance will go back to boards and commissions next month. Does Public Input Really Matter in City Projects? Public input meetings are places where ideas float around, and where friends with similar interests reconnect. At a meeting this week at Dove Springs' Mendes Middle School, you could see neighbors sharing input on what they'd like to see happen at Onion Creek Park. Susan Willard, president of the Onion Creek Parks Neighborhood Alliance said she wants "[a] picnic area and barbeque grills." She even remembers a place from her childhood called Davey Crockett National Forest that has platforms and rope swings. "They could do something like that back in there," Willard says. "That’d be really cool! You know? Something that fits with nature." The Austin City Council is considering changing a city code that relates to the naming or renaming of parks and park facilities this week. Right now, the code states that parks can only be named after a person or a group that has made 'exceptional contributions' to the park system. In fact, the process is pretty simple: a person submits an application asking for a park facility to named or renamed and, after 90 days, the City of Austin Parks and Recreation Board and the city council review all of the suggested names. The proposed amendment would make it more difficult to change a park name based on community significance. It would require signatures from up to 75 percent of residents in the area of a park or park facility. The amendment would also add a 'financial contribution component' to the process. No signatures would be required, but name changes could be awarded based on money or land donated to the city.